With Tropico 5 just released, I already became the crazy dictator that Tropico always turns me into. 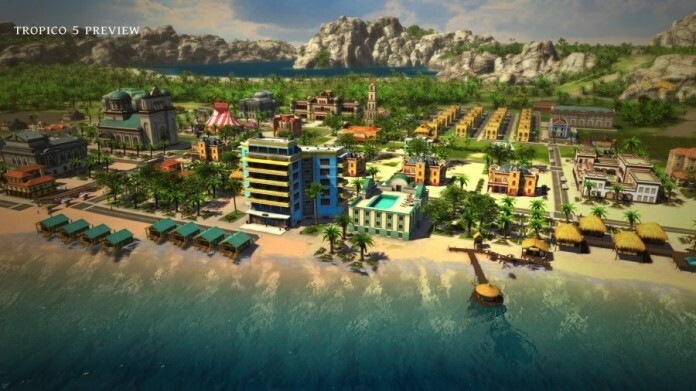 However, in this particular iteration of the game, I had a pretty tough time finding an option that makes your life a lot easier when playing and doing something else at the same time: the Tropico 5 windowed mode. And after almost jumping off the chair when I finally found the option, I decided to share it with you too because there might be other players in my situation, not knowing how to find the Tropico 5 Windowed Mode (because, in my opinion, it’s in a really unexpected place). So, here you have it: if you want to play Tropico 5 in Windowed Mode, you will have to go to the game’s resolution settings and scroll all the way up, where you will find the “Windowed Mode” resolution. Yeah, pretty crazy, but at least it’s there and we can enjoy dictatorship and island building alongside other useless things on the internet at the same time.